Pudsey Bear dropped in earlier this week. 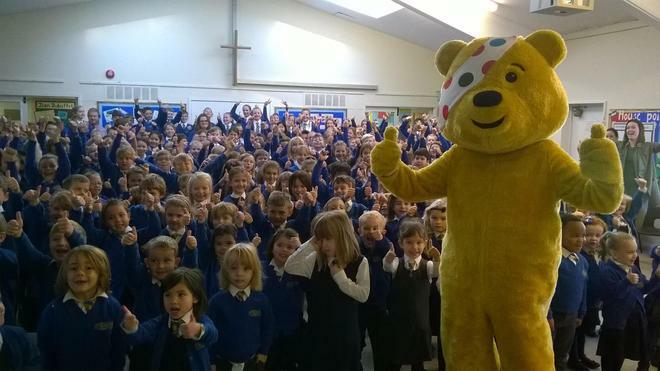 On Tuesday we had a visit from Pudsey Bear. 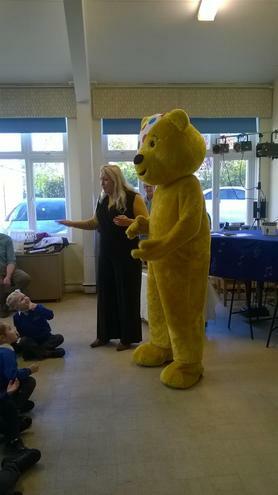 He came along to speak to the children about Children In Need.